Recent University of Tartu graduate Aivo Põlluäär writes about life on Estonia's first kolkhoz*, or Soviet collective farm. 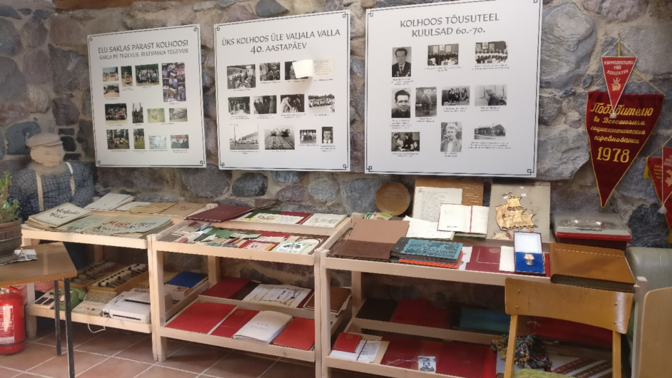 The folklorist and local researcher's interest in the Viktor Kingissepp Kolkhoz in Saaremaa goes beyond research subject, however — his parents also met and fell in love there. In the early 1990s, it became typical to recall the Soviet era in a negative light. This period was considered an interruption of the continuity of a free Estonia. Prior to my field research, I believed that this was a time characterised by suffering, the KGB, a command economy and constant propaganda, and that this was an era that could not be and no one wanted to discuss. At the same time, people at the time were also just living their regular, everyday lives, with their worries and their joys. Despite the quirks and troubles of the Soviet period, my master's thesis demonstrates that this era is often recalled with tenderness. This is nothing political — these were the years of their youth. Naturally nobody yearns for occupation, but rather their youth. In recent times, more and more people are willing to share such memories without fear of being labelled as someone who longs for the return of Soviet power. Which makes all the more surprising President Kaljulaid's September 2017 speech in which she expressed bewilderment over those who recall their childhood in Soviet Estonia with fondness. 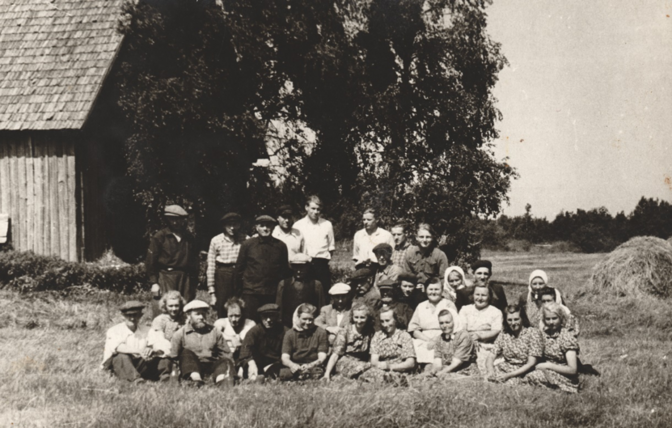 On 23 August 1947, the Central Committee of the Communist Party of Estonia decided that Sakla village on the island of Saaremaa had the conditions and initiative group needed to found the Estonian SSR's first kolkhoz. Herman Kuning was confirmed chairman of the group, and it was decided to hand over land in the village that had belonged to the Estonian Academy of Sciences and a military base. 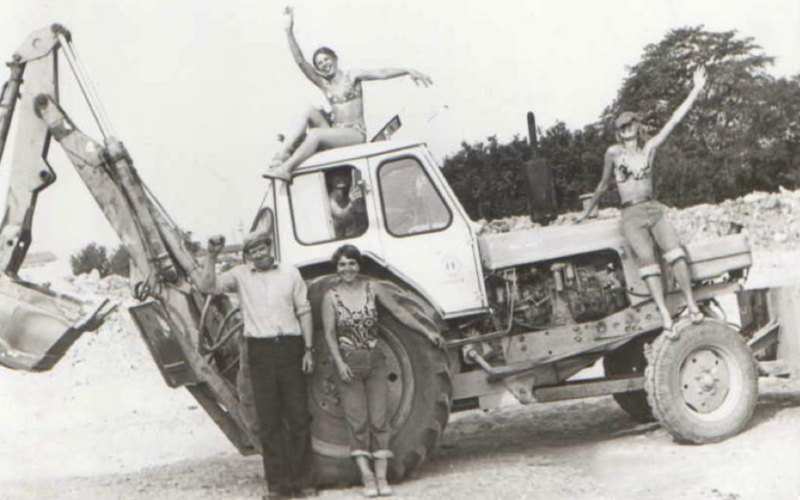 It was also brought to the attention of the Saaremaa Party Committee that the collective farm was to become an "illustrative tool of persuasion" for the remainder of Estonia. Likewise stressed was the requirement that the kolkhoz be joined voluntarily. On 6 September, a meeting was held at Vaku Farm at which the kolkhoz's statutes were confirmed, its board, chairman and audit committee were elected and its name confirmed: the Viktor Kingissepp Kolkhoz. Was the kolkhoz joined voluntarily? The initiative group needed to found the kolkhoz was assembled with persuasion by farmer Herman Kuning, who a year prior had organised communal work in Lööne Bog. "Saaremaa Valss," which was based on the latter event, has become a favorite song for Estonians. This was first and foremost a propaganda event, which was attended by nearly 800 people throughout Saaremaa. There was a concert band, theatre and ice cream, and a socialist competition was held. 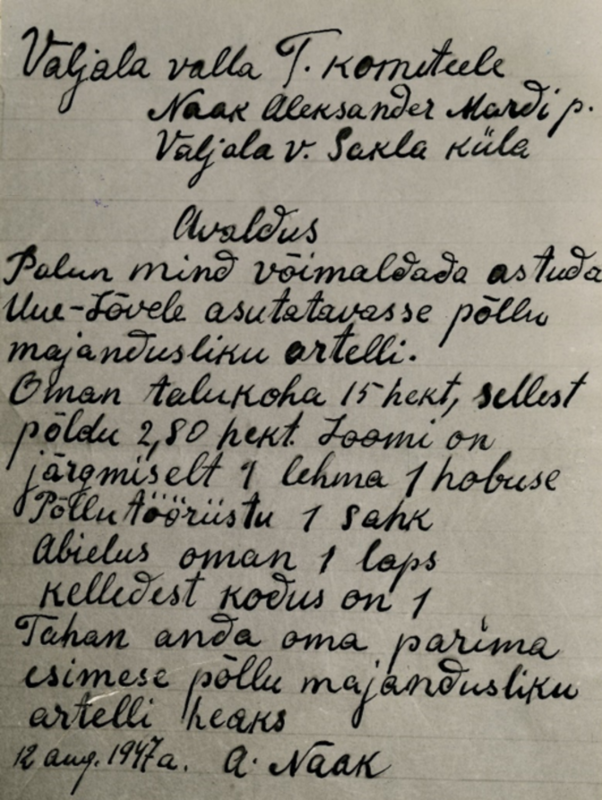 Also present at the event was the First Secretary of the Communist Party of Estonia Nikolai Karotamm, who in his speech called on the rest of Estonia to follow the example set by the Saaremaa islanders, stressing the importance of collective work to the building up of the socialist republic. Kuning was on good terms with Karotamm, and was tasked with forming a kolkhoz. A number of locations were considered for this, but ultimately chosen was Sakla village, the home of Kuning's father. In order to convince farmers, gatherings were held on farms and private meetings were held, and if these did not produce the desired results, higher-ranking officials were sent in. Kuning played the role of mediator, who tried to negotiate more favourable conditions for locals. An opposition nonetheless formed against him, and wives, for example, forbade their husbands from speaking with him. With cleverness and the occasional threat, however, they managed to assemble the number of members needed for the initiative group, and the first kolkhoz was officially founded, with Kuning as its head. There is no definitive answer regarding whether the kolkhoz was founded on a voluntary basis or not, but in retrospect, people's sentiments have tended toward positive — the early joining of a kolkhoz allegedly spared Sakla village from the 1949 deportations. Farm animals, agricultural equipment, inventory and production buildings were collectivised. Ploughing and sowing in the kolkhoz were to be done according to guidelines passed down from higher up, and state agricultural product sales commitments and production technology were prescribed, such as the growing of potatoes in checkrows. These guidelines did not take into account the area's actual conditions, which led to failures to fulfil obligations. Many fled to town from the kolkhoz. Things were especially difficult for the women, who had to work on several fronts: on the kolkhoz as well as caring for the family and home. Until 1979, it was practically impossible to remain at home with a small child; women also worked on the kolkhoz up until they gave birth. A woman could stay home with her child for two months if it could be ensured that the woman had a "feeder" for this period of time. But it still had to be taken into account that their job would not be preserved. In returning to work, it could also be difficult to find a babysitter. People's standard of living slowly began to improve. Beginning in 1964, the kolkhoz began paying wages in cash, and a year later, the opportunity to take holiday was added. More and more people gave up their small households and moved into flats with "full amenities," went travelling, to the theatre, to the cinema. But at the beginning and end of the kolkhoz era, there were no cash wages. And you had to survive somehow despite this. Feed and money shortages meant working on many fronts, and people began stealing from the kolkhoz to ensure their animals would be fed. Stealing, as such, was not considered criminal, however. The kolkhoz was made up of the kolkhozniks' collectivised property, and they considered themselves "shareholders" of the holding. This seemingly granted them the right to take their share. In reality, of course, everyone attempted to hide their stealing, because it could lead to sanctions. My family is connected to the Viktor Kingissepp Kolkhoz as well — my grandfather and uncle worked there. My parents met and fell in love at the kolkhoz. Which is how I myself was born into a kolkhoz family, but for better or for worse I do not remember this period, and can only rely on others' memories of it. In 2013, an episode of Maahommik was filmed in Sakla in which the host asked a former cultural worker if they weren't ashamed of recalling the kolkhoz era. They replied that this is part of our history, which accounted for a large portion of a lot of people's lives. In support of this, the Sakla Village Development Society has established a museum room dedicated to the history of the kolkhoz. The kolkhoz's anniversary is celebrated as well. While the 50th anniversary was called the kolkhoz's funeral, the 60th anniversary was a grand party that was covered by the media as well. While the party was planned as a parody of a kolkhoz harvest festival, it was covered by Kanal 2 in a ridiculing tone. Linda Raad, the chairwoman of the village society at the time, wrote that the segment filmed in Sakla that was broadcast included an introduction that was "very oddly" insulting to Saaremaa residents. "Members of the Sakla Society and others present at the party did not think that they would be made into glamourisers and mourners of the kolkhoz system and the Era of Stagnation. The intention was actually to recall days gone by and host a nice commemorative party for the older members of the kolkhoz." The kolkhoz collective formed a tight-knit circle among the youth at the time, and celebrating these anniversaries is akin to class reunions. Sakla is a remarkably active village, where a clubhouse has been renovated, a museum built, there is an active society and dance group, all kinds of events are held, and guests are welcomed. A lot of work is done as collective work. The Soviet era is inevitably a sensitive topic, and it is out of fear and perhaps stigma that the village society has not yet taken advantage of the place's full potential — to introduce Sakla village as the birthplace of Estonia's first kolkhoz. *Kolkhoz was the name for a collective farm in the Soviet Union which was legally organised as a production cooperative, and where remuneration was based on the distribution of farm earnings. Sovkhoz, in contrast, was the name for a Soviet state-owned farm, where employees were paid regulated wages. In the long term, it was expected by the Soviet Union that all kolkhozes would eventually be turned into sovkhozes.